Don't have a green thumb? Don't worry! These pretty plants stay green all year round. 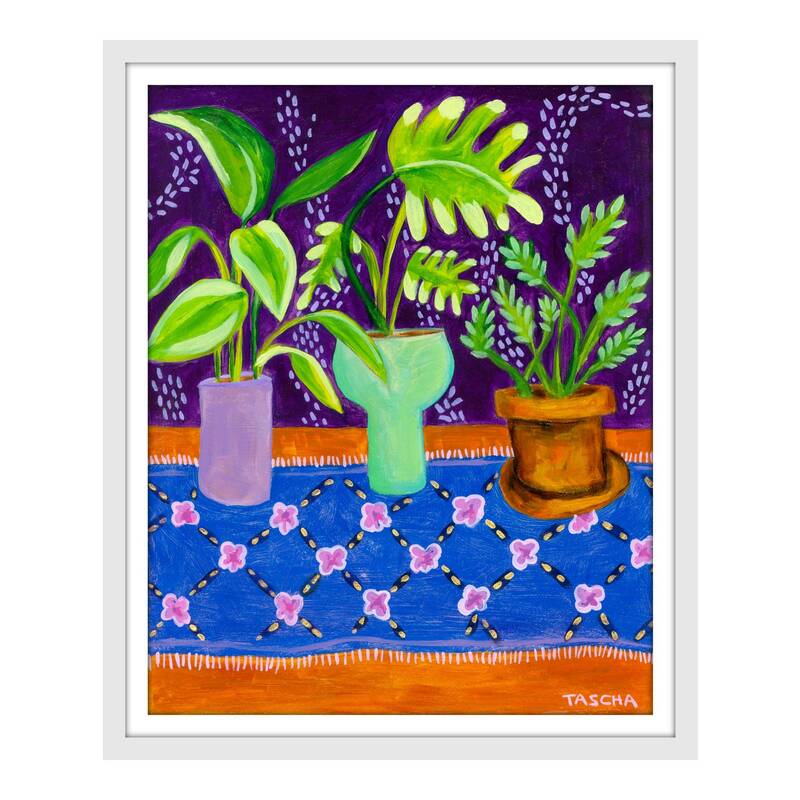 Lovely print of 3 plants on a very jazzy table cloth. The paper is 8 1/2" x 11" acid free cardstock. The image measures appox. 5.75" x 7".